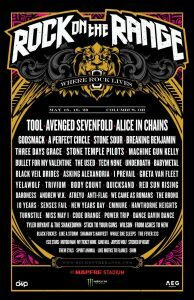 Like a Nigel Tufnel guitar amp, Rock On the Range has now gone to 11. The esteemed rock fest returned again to Columbus OH and Brutus continued his streak for attending each of them. With the exception of some hairy weather which caused him to cower like a drowned rat in the bowels of Mapfre Stadium, it was a splendid time for your friend and humble narrator. Lou connected with a long list of artists including Avenged Sevenfold, Alice in Chains, Godsmack, A Perfect Circle, Stone Sour, Breaking Benjamin, Three Days Grace, Stone Temple Pilots, Bullet for My Valentine, Underoath, Asking Alexandria, I Prevail, Greta Van Fleet, Trivium, Red Sun Rising, Atreyu, 10 Years, New Years Day, Miss May I, Tyler Bryand & the Shakedown, Wilson, From Ashes to New, Like A Storm, Shaman’s Harvest, The Fever 333, Stitched Up Heart, Shim, and too many more to mention. Watch Lou’s socials for exclusive vid of the interviews as well as his backstage photo portraits. Many thanks to the artists, crews, management, record company folks, catering, and security as everyone does their jobs very well. Special thanks the staffs of AEG and Danny Wimmer Presents for having Brutus back. Extra thanks to Paul and James of hardDrive Radio for the selfless logistical support. Finally, a great debt of gratitude to those of you who came out to support live music. Hope you bought a t-shirt, too! To see a video overview of LB’s adventures go here. 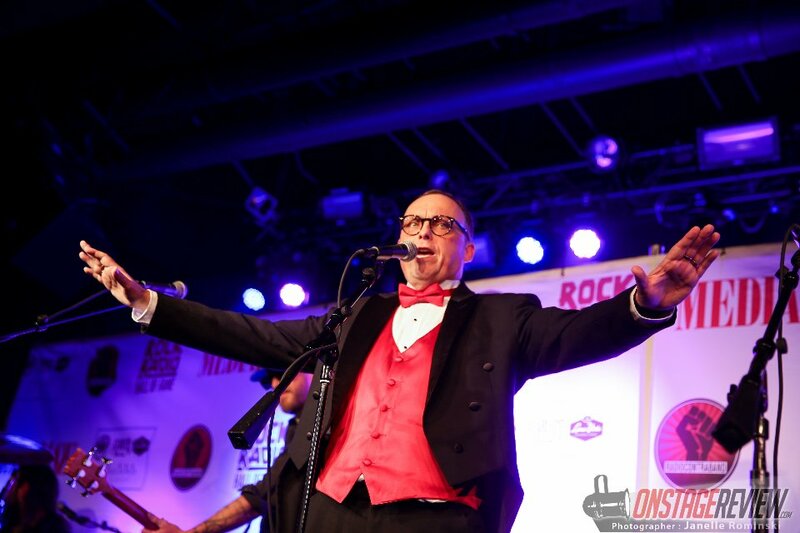 Lou Brutus returned as host of The Rock Radio Awards in Las Vegas, NV during the Radio Contraband Rock Radio Convention back on February 12, 2016. The awards ceremony was held for the very first time in Vinyl at the Hard Rock Hotel and Casino. LB was nominated as Best Nationally Syndicated Host of the Year. It was the third year running for this award and Lou has not won it on each occassion. The ceremony began with Houston, TX based band Hounds of Jezebel back Brutus on a song he wrote for the occassion, dedicated to all of the nomineeds, entitled “If I Don’t Win My Award Tonight (You Can All Go F*ck Yourselves).” Hilarity ensured. You can see video of the performance here. Read about it with Voume 11 Music, Onstage Review, Pop Sound Off, All Access or I’m Music Magazine. Photo Credit: Pop Evil, Lou Brutus and Steven Walker of RadioContrand by Wendy Wood Young. Photo Credit: Lou Brutus onstage with Hounds of Jezebel by Janelle Rominski. 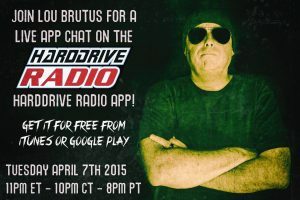 You can join Lou Brutus for the very first hardDrive Radio App Chat! The chat will take place in the Interact Live section of the new hardDrive Radio app. The app is available for free in the iTunes App Store or Google Play. You can submit your questions now or join Lou live Tuesday April 7th 11pm ET/10pm CT/8pm PT. 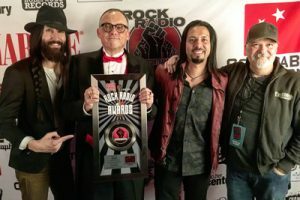 Congratulations to Lou Brutus for repeating as Best Nationally Syndicated Radio Host at the Radio Contraband Rock Radio Awards in Las Vegas NV on Saturday January 30th 2015. Lou was again Master of Cermonies for the ceremony, held at the House of Blues at Mandalay Bay. He opened the show by performing a blues number, backed on guitar by Dameon Aranda of Aranda, entitled “The Radio Contraband Las Vegas Blues,” a somewhat filthy look at the current state of the radio and recording industries. Brutus thanked his listeners, radio brethren and Darla the Wonder Dog for the support in besting the other nominees which included Nikki Sixx, Full Metal Jackie, The Chop Shop and Skratch N’ Sniff.